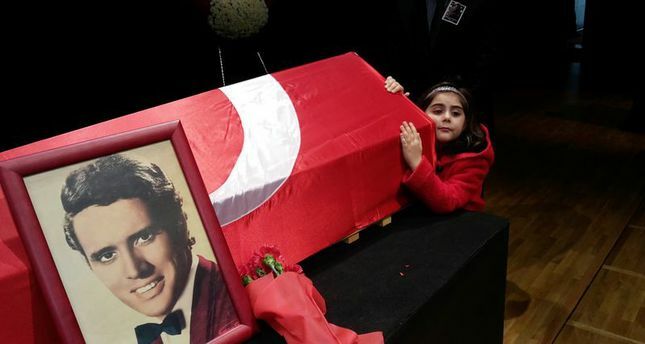 Turkey's iconic rock pioneer, Erol Büyükburç, also known as the Turkish Elvis, was buried in Istanbul on Saturday. The rock star died on Thursday, aged 79, at his home in Istanbul. He was laid to rest in İstanbul's Zincirlikuyu Cemetery. Police and hospital sources confirmed that Büyükburç passed away due to an unexpected heart attack. During the funeral ceremony, condolences were expressed to his family. His close friends and artists gathered to bid farewell to the rock pioneer. Büyükburç was a popular performer during the 1960s, introducing a new generation of Turkish listeners to rock and roll from the U.S.